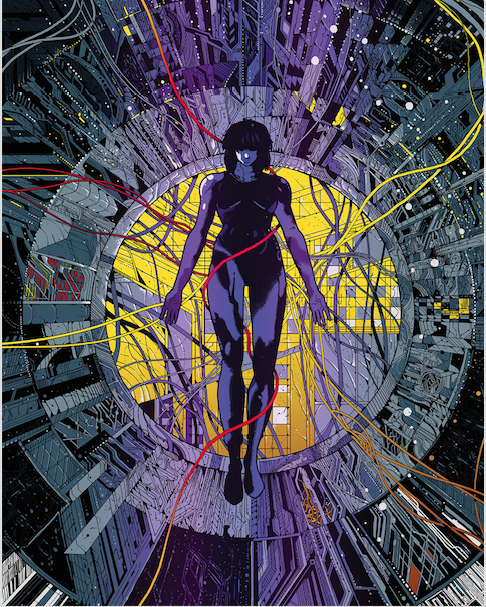 Timed for the release of the deluxe live action Scarlett Johansson-starring version of the classic Masamune Shirow manga Ghost in the Shell, Lionsgate will be releasing a lush Limited Edition Steelbook Blu-ray of the original anime feature film on March 14th, complete with gorgeous Mondo artwork front and center. 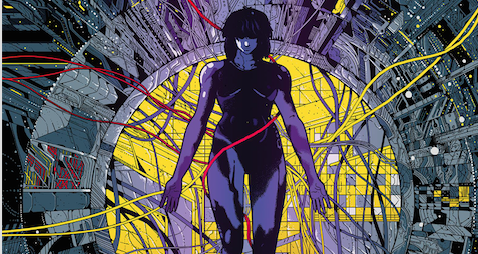 Mamoru Oshii’s mesmerizing and violent Japanese classic tells the take of a female cybernetic government agent, Major Motoko Kusanagi, and the Internal Bureau of Investigations are hot on the trail of “The Puppet Master,” a mysterious and threatening computer virus capable of infiltrating human hosts. Together, with her fellow agents from Section 9, they embark on a high-tech race against time to capture the omnipresent entity. The original Ghost in the Shell took the world by storm in the mid-’90s, exhibiting a new dimension of anime with unprecedented cinematic expression. Seamlessly merging traditional animation with the latest computer graphic imagery, this stunning sci-fi spectacle challenged the boundaries of mainstream animation with detailed artistic expression and a uniquely intelligent story line. Ghost in the Shell Limited Edition Blu-ray and Digital HD Steelbook street March 14, 2017.